Once upon a time, ebony trees dominated Mauritius. Today, little native forest remains. Our goal at Ebony Forest is to restore and recreate 45 hectares of indigenous forest. 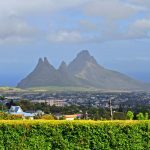 The unique biodiversity of Mauritius depends on it. Since 2006, we have weeded over 13 hectares and planted more than 130,000 indigenous plants grown in our native plant nursery. 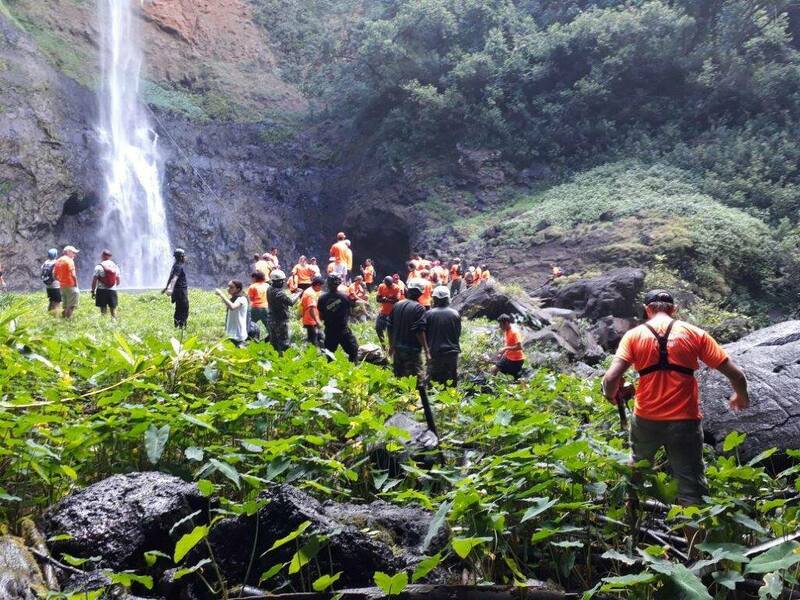 Restoration work is a long-term commitment and requires a full-time dedicated team to control the invasive plants. Your visit helps finance this costly work. 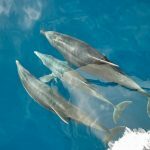 Apart from invasive plants and animals threatening the island’s biodiversity, we recognize that one of the main threats is a lack of awareness and a disconnection with nature. The future of Nature depends on present and future generations recognizing its value. Our Ecology Centre and education programmes are designed to reconnect local children with their natural heritage. Acting today to conserve and restore our biodiversity will have huge dividends in the future. Nature is priceless and we all depend on it. We believe that indigenous species should not just be found in forests. We regularly donate indigenous plants to green public places. 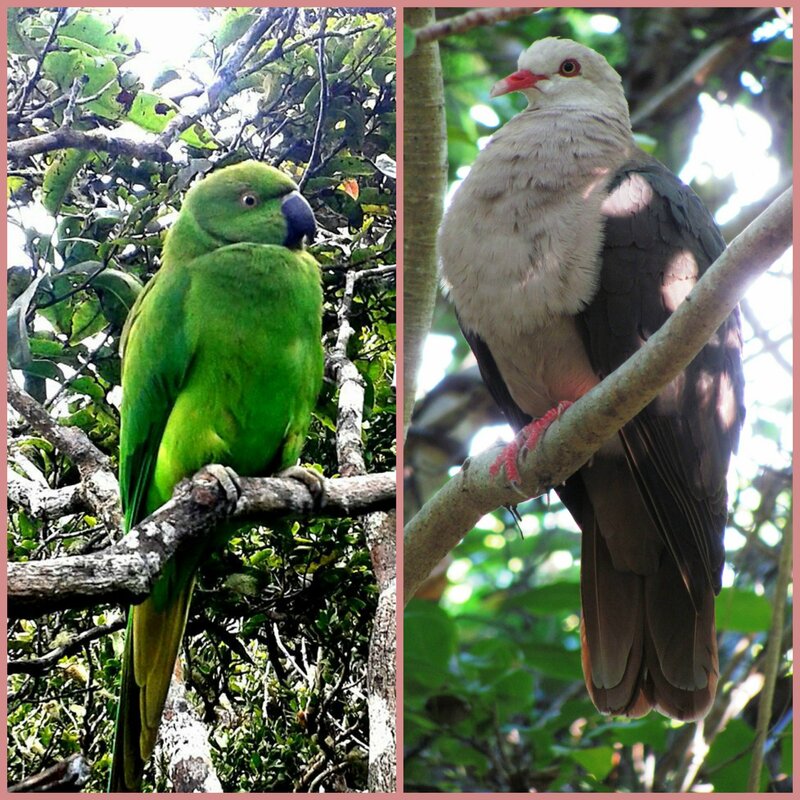 Thanks also to our sponsors, we are restoring, conserving and protecting habitat for the unique fauna of Mauritius. If you want to learn more and be involved as a volunteer or sponsor, just contact us. We recommend you allow a minimum of 1.5 hours to enjoy the whole Ebony Forest experience. For a full Ebony Forest experience, come spend half or even the whole day with us! If you want to visit the raised walkway through the Flycatcher Forest, Sublime Point and the Visitor Centre, we recommend you arrive at Ebony Forest at the latest by 15:20 to catch the safari jeep shuttle which departs at 15:30. 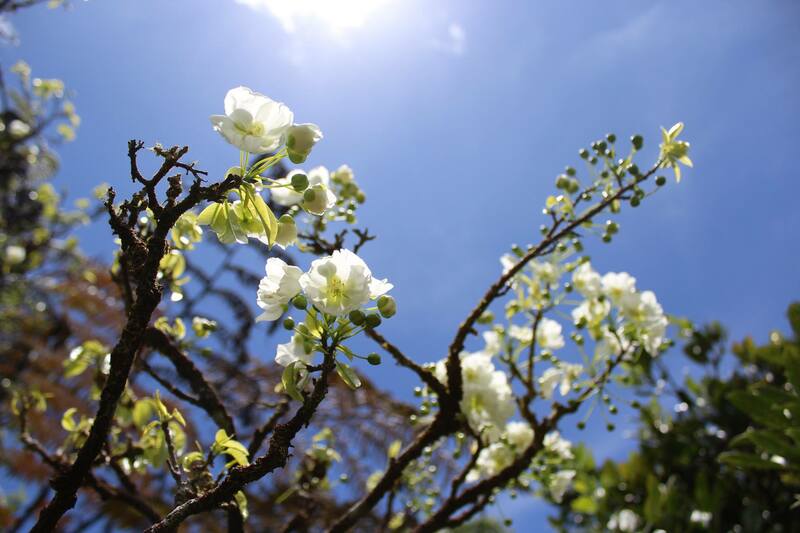 To truly immerse yourself in nature and get the full experience of our rare biodiversity, we encourage visitors to walk, stroll, hike, run, swagger, saunter through the site…..
To help plan your day, check out our hiking options, or contact us. Our safari jeeps leave the Visitor Centre every 30 mins, on the :00 and :30. Catch the first one at 9:30 to the Flycatcher Raised Walkway. Please note that each jeep has a capacity of 9 visitors and so we cannot guarantee availability. If you can, we recommend walking. 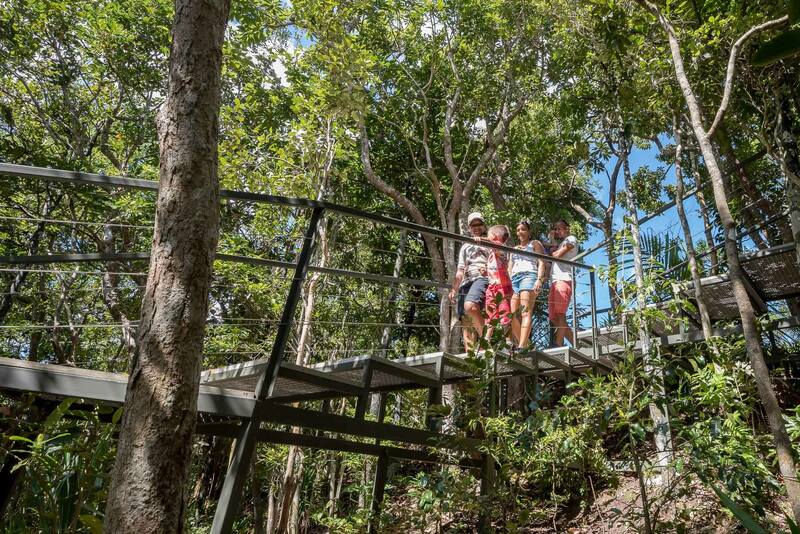 Our two raised walkways enable you to walk through the forest even in your flip flops! There are some steps, but with so much to see and discover, you will hardly notice them. Currently we offer a 30 minute guided tour of the Flycatcher Raised Walkway. There are 14 tours per day. The first one starts at 9:45 and the last one starts at 16:15. Children must be accompanied by adults at all times. 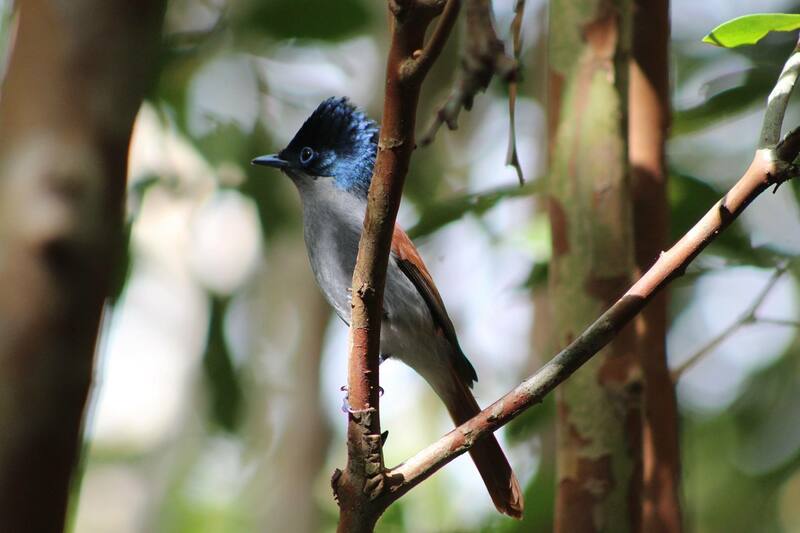 If you are a keen bird watcher, then Ebony Forest is one of the few places you will be able to spot endemic birds such as the Mauritius Paradise Flycatcher, Mauritian Black Bulbul and grey-white eyes. 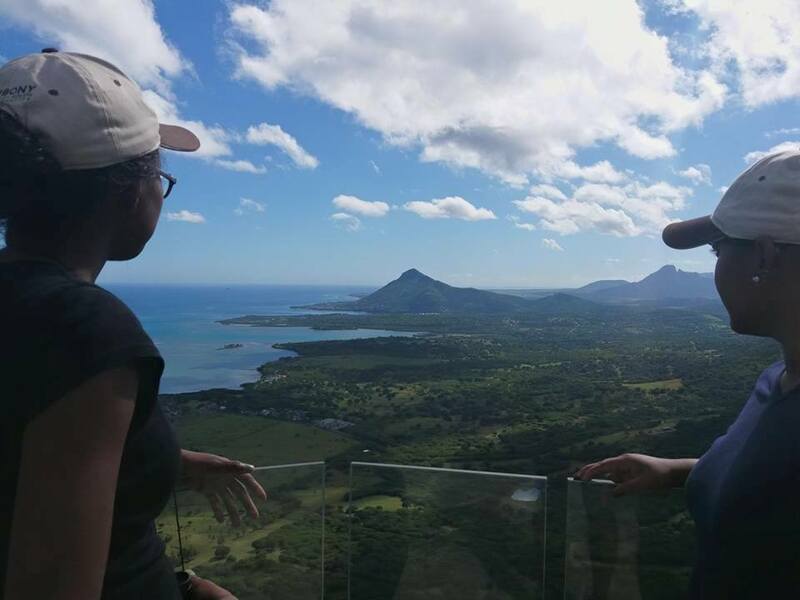 Choose to eat at Le Takamaka restaurant, or sample some traditional Mauritian snacks while admiring the view at Sublime Point, or simply grab a drink and snack from our boutique. Our staff at the Le Takamaka restaurant will take your last order for hot food at 15:30 and at 16:30 for drinks. For Sublime Point, last service is at 16:45 in the summer (1st November – 31st March) and 16:15 in the winter (1st April – 31st October). We apologise, but due to our location on the slopes of Piton Canot, our site is not particularly wheelchair or pushchair friendly. Wheelchair facilities are present around our Visitor Centre. Leave your vehicle in our car park. If you come by bicycle, let us know and we can find somewhere safe to store it. If you plan to hike along the ridgeline trail or to the peak of Piton Canot, we recommend you wear trainers or hiking shoes. While our raised walkways make our forest easily accessible, stilettos are not advised! Your camera is a must! All prices are VAT inclusive and cover all activities: the Visitor Centre including Ebony Experience interpretation centre, guided tour, use of the safari jeeps and unlimited time spent in the reserve. 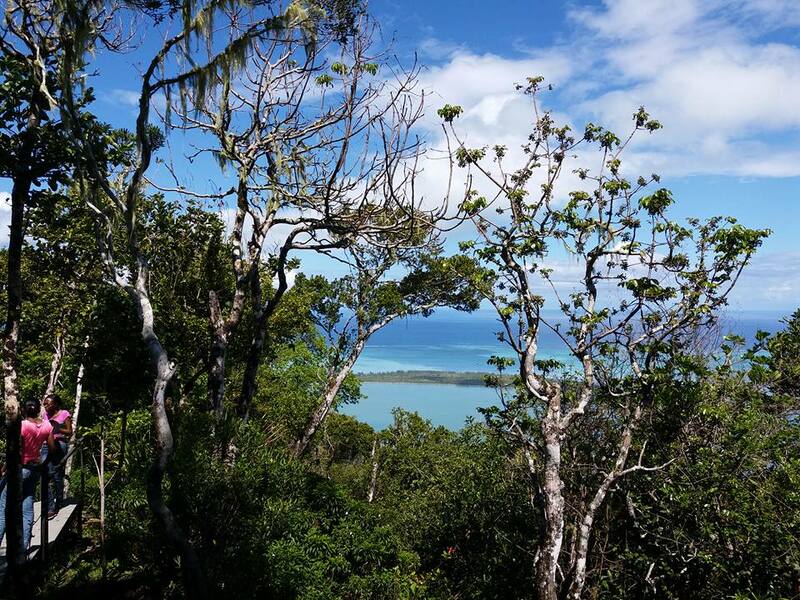 Ebony Forest Ltd is a private company, in association with our partners in Mauritius (La Vanille Nature Park), Rodrigues (Francois Leguat Giant Tortoise and Cave Reserve) and Biodiversity Conservation Madagascar, a non-governmental conservation organisation in Madagascar.